If you know me, you know I have a love for beautiful blankets and throw pillows. When I see a good one, I can’t seem to pass it up. Well, today I’m sharing with you a brand that I have absolutely, head over heels, fallen in love with. Not only are they gorgeous and comfortable but they are also made right here in the U.S.A. and with environmentally-preferred materials. Their main material is recycled cotton! 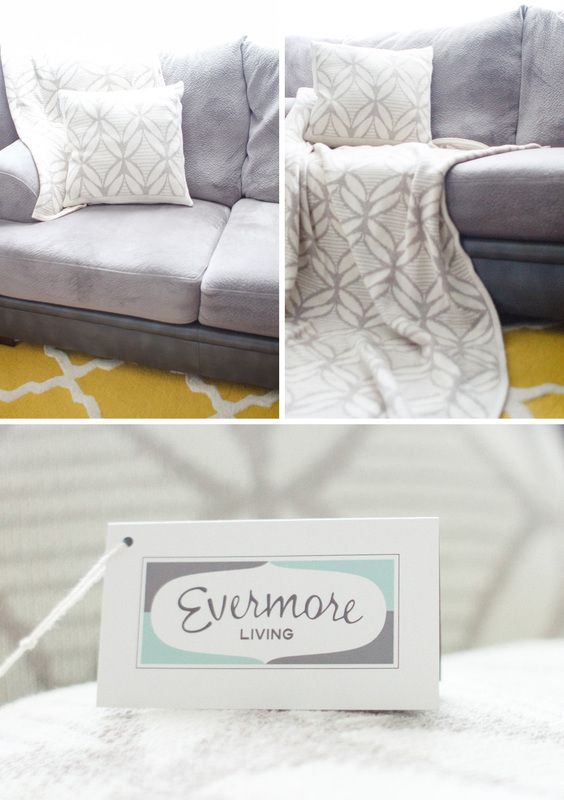 Evermore Living‘s products are made of pre-consumer recycled cotton whenever possible. The suppliers they work with purchase unused cutting waste from large apparel manufacturers that would normally end up in a landfill or incinerator. It is then sorted by fiber content and color, eliminating the use of any new dyes, chemicals/pesticides, or water. The fibers are then blended with polyester and/or acrylic for strength, resiliency, and color-fastness which is spun into the yarn you see in their products. Not only does the recycling process benefit our environment, but it also provides a truly unique aesthetic that is soft and luxurious, attainable only by the blending of recycled fibers. Evermore Living can be found online at www.everymoreliving.com, on Instagram, and Facebook.